The Dance Gallery Broadway program was the first of its kind in South Dakota. Introducing the art of Musical Theatre in a school of dance prepares the students with the skills it takes to be a “triple threat". 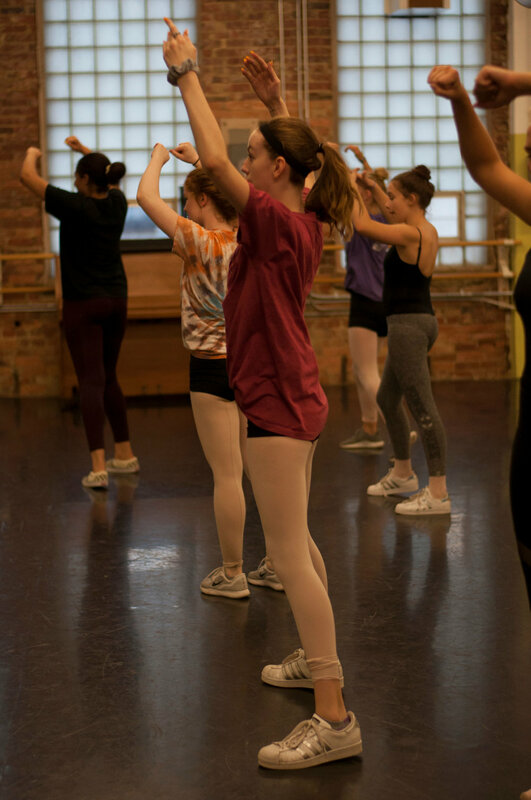 Dancers learn basic musical theater dance skills along with being exposed to singing, acting exercises, stage presence, theatrical terms, and musical theatre history. Whether you consider yourself first to be a dancer, actor, or singer… this class is a safe environment to practice creativity and take risks while having fun and getting great exercise as well. There is one level offered for children 9 years and older. Hip Hop is one of the fastest growing dance styles around! Check out our hip hop classes for the young and not-so-young, experienced and not-so-experienced! The movements in this class are tasteful, but very cutting edge. Although hip hop can seem a bit too “edgy” for many parents, we have made a commitment to appropriate dress, music, and movement for ALL levels. Hip Hop utilizes the most popular music to teach the newest dance moves including popping, locking and some basic break dancing. Tap dance is a percussive form of dance. Dancers use their shoes as an instrument. Dancers will learn both broadway tap and rhythm tap. Broadway tap focuses on the dance and is used in musicals and rhythm tap focuses more on the beat and using the shoes as an additinal instrument to the music.